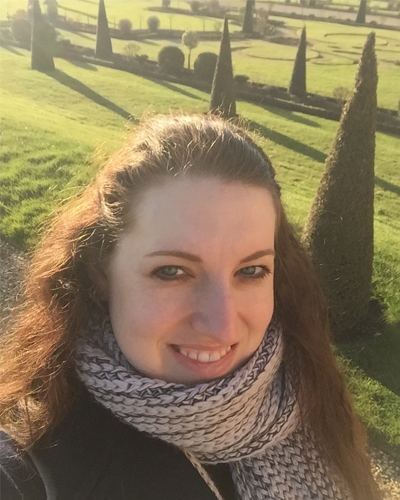 MA English Literature student Michelle Rushefsky shares a typical week for her as a postgraduate student at Surrey. The following timetable is a personal example - for the latest module information, visit the MA English Literature programme page. 9am to 12pm - Prepare reading for the week. 12pm to 1pm - Meet with lecturers - I like to go to my lecturers office hours every week to make sure I’m always on track. 1pm to 1:30pm - Meet with my co-advisor for my PhD to discuss my upcoming funding application. 1:30pm to 5:30pm - Read in the English common room, there’s plenty of space and it’s not too quiet which tends to distract me more than total silence at times. 9am to 11am - Compulsory module 1 - I used this module in term one to create, develop and perfect my PhD proposal. But most students use it for their MA dissertation proposal. 11am to 12:30pm - Lunch and coffee with classmates. 12:30pm to 4:00pm - Read for upcoming module. 4pm to 6pm - Advanced Studies in 19th Century: Uncanny Interventions modules. 10am to 12pm - Read for 19th century module. 12pm to 1pm - Lunch with classmates. 1pm tp 6pm - Work on materials for Open Essay 1. 6pm to 7pm - Take a break! Eat some food! 7pm to 10pm - Work on materials for Special Author 1 - I chose the two open modules because I wanted to take the full opportunity that the University of Surrey offers, to create my own curriculum. 12pm to 12:30pm - Take a quick bus into town. 12:30pm to 4:30pm - Sit in a pub and work on reading for 19th Century Literature module. 4:30pm to 6:30pm - Do reading for Open Essay 1 or Special Author 1. 7pm to 10pm - Go over the reading materials I have just read and plan the research for the weekend. *End of the semester - TRAVEL! Guildford train station is five minutes way from Stag Hill campus and can connect you to all of England. Also, at the end of the semester, when I do all my writing at night, I travel on Wednesdays as well. So many adventures! Afternoon and night - READ! Morning - Grocery shop at Tesco. It is a seven minute walk from Manor Park and a ten minute walk from Stag Hill campus - it is open 24 hours a day. Afternoon and night - Read more! Learn more about our English literature and creative writing degrees, including our MA English Literature.